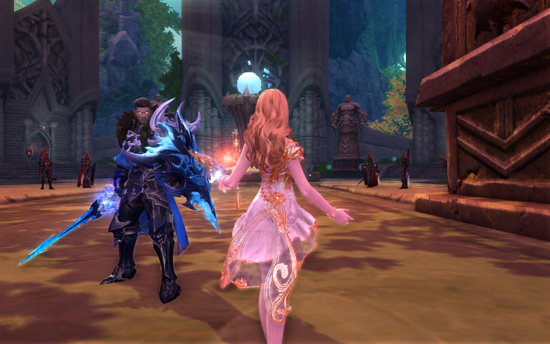 MMORPG AION is launching one of the largest updates of recent years on servers. The changes included in the update 6.0 are so significant that you can talk about a total relaunch of the game. The aim of "A New Dawn" is to restore the game to its roots and restore its original form to AION fans. From 5.09. players could participate in the beta phase and test all changes willingly. Aion has been successful in the global market since 2008, and the European version was published by Gameforge in 2011.
latest update is primarily a response to community feedback. It introduces a lot of new content and essential changes in experience systems and skills. "The latest update gives AION fans exactly what they have long desired, " says one of the delighted players who have already tested the new version of the game. " Less grind and more fun, faster and more effective leveling and better balance in PvP ", adds the next one.
" NCsoft and Gameforge have taken the wishes of the players to heart and have spared no effort to significantly improve the gameplay experience ," says product manager Thomas Schnöltzel of Gameforge. " We are very proud of the fact that we are now able to present the AION players who have come back to their roots and yet are a breath of fresh air ." From September 5, players could discover a new release of AION in the beta phase on a dedicated test server. During these two weeks, all volunteer testers received extensive support that enabled them to test the high-level content of the game. The European update 6.0 corresponds to the Korean version 6.2, in which various modifications have already been implemented and bugs removed from this gigantic update. European players therefore receive a refined version in the "A New Dawn", which contains all the content from 6.0, but no longer suffers from childhood illnesses. Fascinating, revised plot allows players to get to know the world of Atreia even better. The new PvPvE Lakrum area offers players fierce battles for the fortress in the north and new garrison artifacts. New instances of PvE Makarna Pozrwania , Prometun's Workshop and Kubus Kubrinerk's Laboratory pose a challenge for players from level 80. The Golden Sand Shop implemented in the game, the restoration of the kinah currency and the introduction of gold bars as payment means guarantee healthy economy in the game.